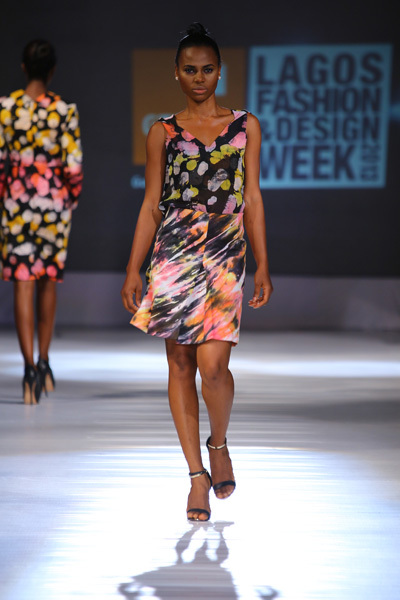 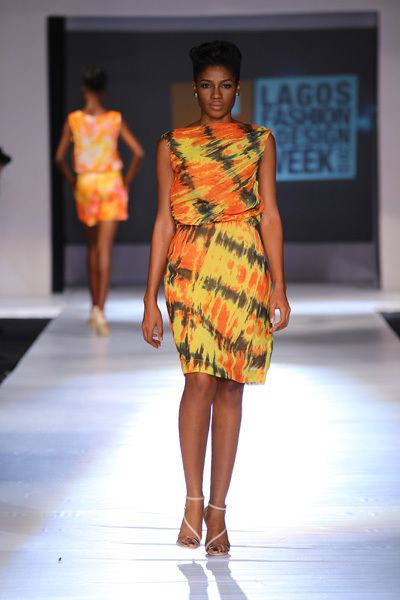 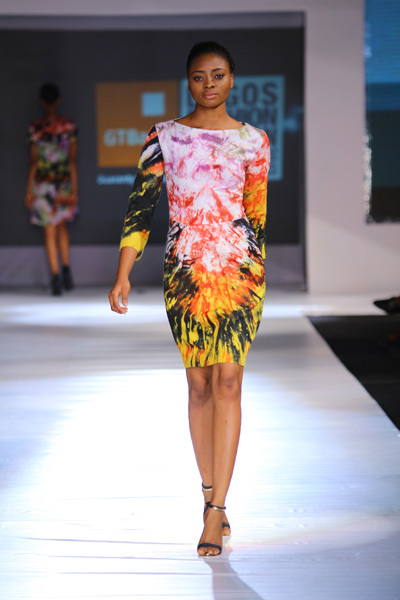 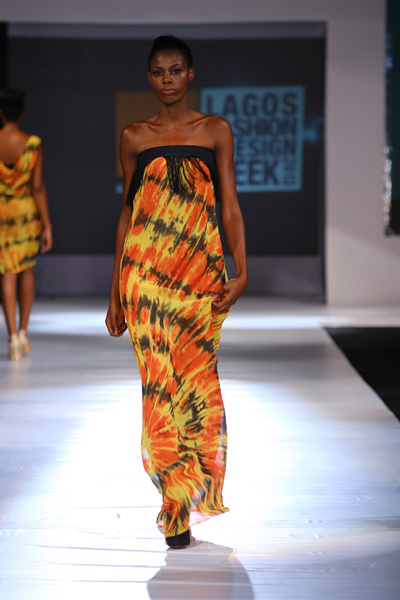 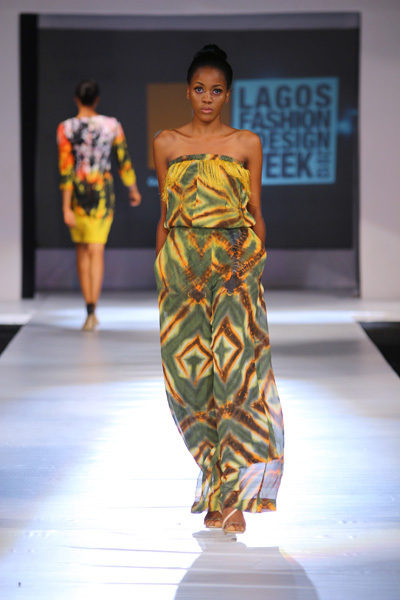 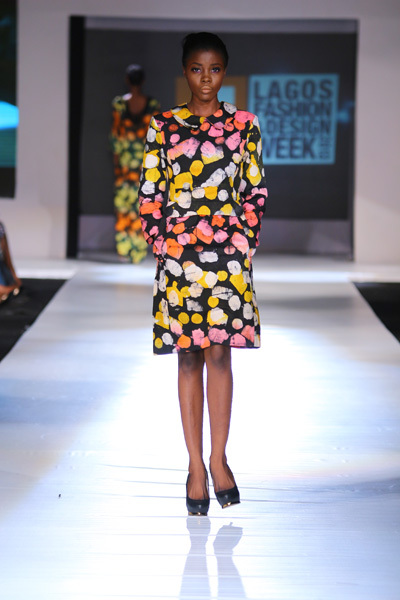 If there is one designer at the ongoing Lagos Fashion Design Week that deserves attention, then it is Amede Nzeribe. 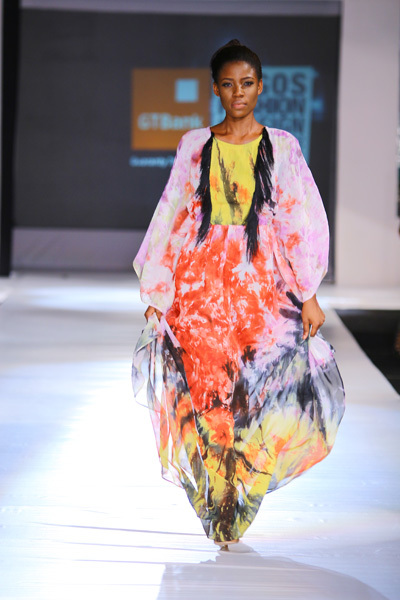 Here is a designer of poetic and beautiful clothes that celebrate African heritage to the fullest. 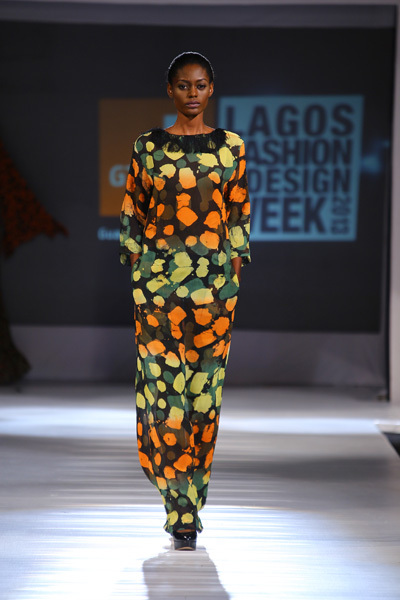 Her new collection called Efuru Heritage mixes local hand dyed materials with chiffon and aso-oke in an extremely elegant, graceful, and artistic way with strong hues of peach, mustard, and green. 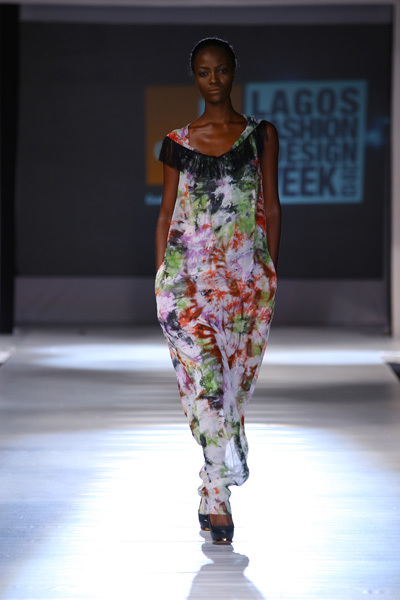 The African art of dyeing using tie dye and batik techniques remains a signature key quality and the refreshing modern take in jumpsuits and billowy dresses at the 2013 LFDW makes Amede a label worth celebrating. 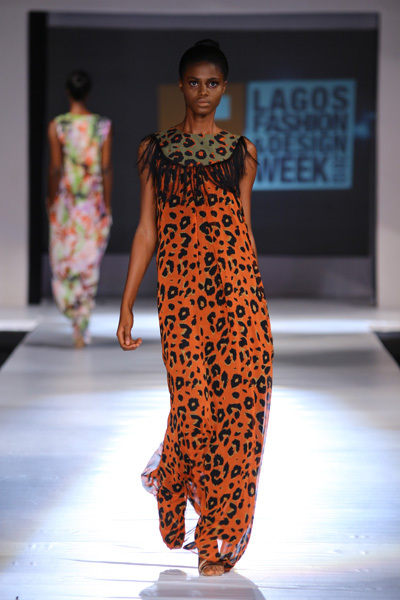 The designer presented a collection of wearable, colorful dresses with unique black and mustard fringe details that peeked out here and there at the right moment. 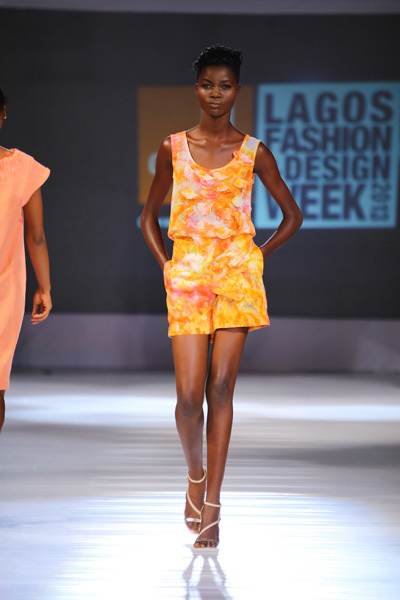 By their own admission in the vision for their label, Amede creates clothes for women who want to stand out elegantly without trying hard to do so. 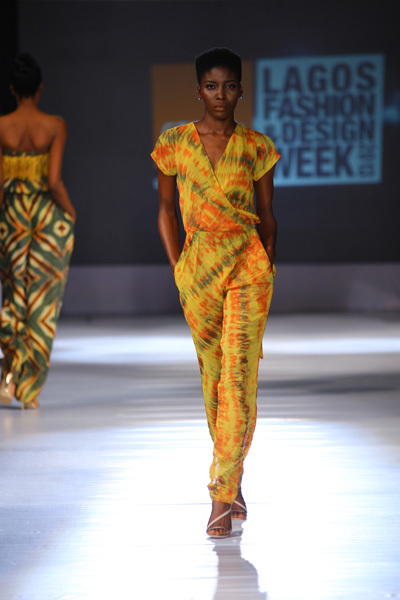 This collection was a fashion exercise worth doing, especially as it is dedicated to any woman in love with her African heritage.